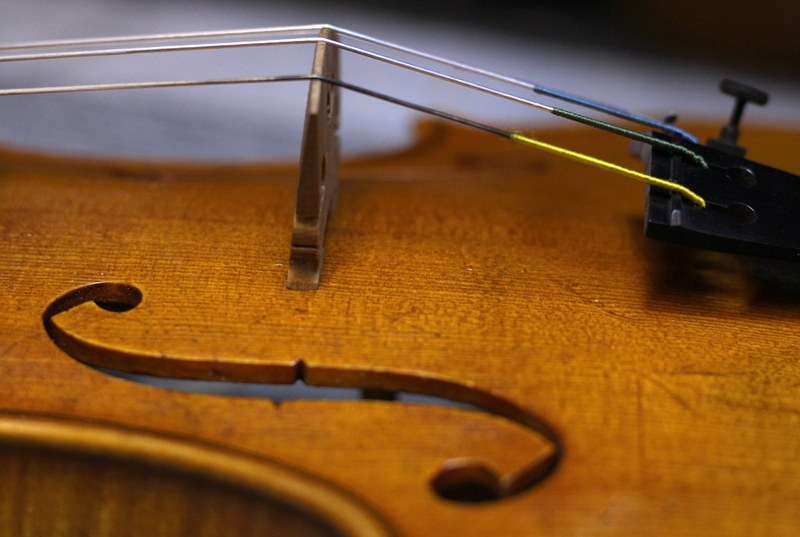 In the case of our subject, we're just going to change the G string because, as the G is plated in silver and the others in aluminium, the silver has deteriorated much quicker than the others. If you need to change the whole set you can just follow the same steps for each one. 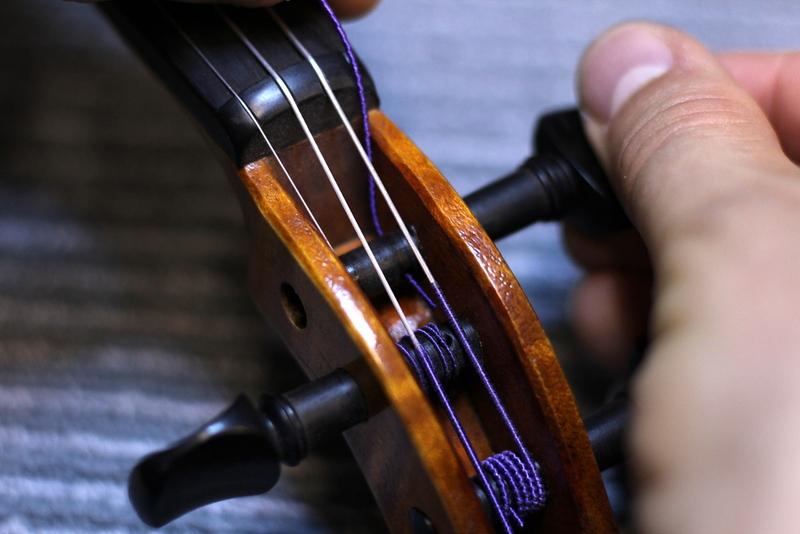 Unlike on a guitar where you typically take all of the strings off at once in order to change them we would generally recommend only changing one at a time on violin - that way you won't have to worry about the bridge or soundpost moving. 1. Before we do anything let's have a quick look at this bridge. 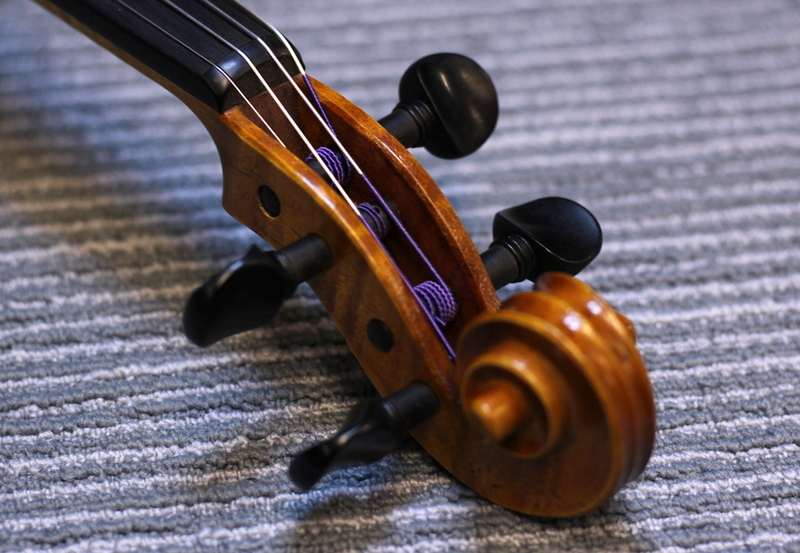 Notice that the feet are in contact with the belly of the violin on both the front and back edges, that the bridge is located in between the little nicks on the inner side of the F hole and that the bridge appears to lean slightly back so that the side facing the tailpiece is about 90% to the belly and the side facing the fingerboard appears to lean back slightly. 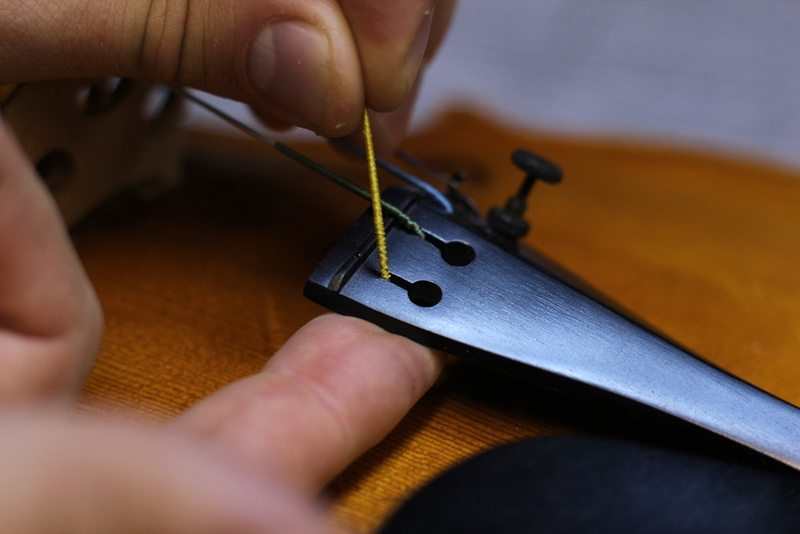 If you notice the bridge has moved at all whilst you loosen and tighten the strings, grasp it firmly between your thumb and forefinger of each side and gently push it back into place. 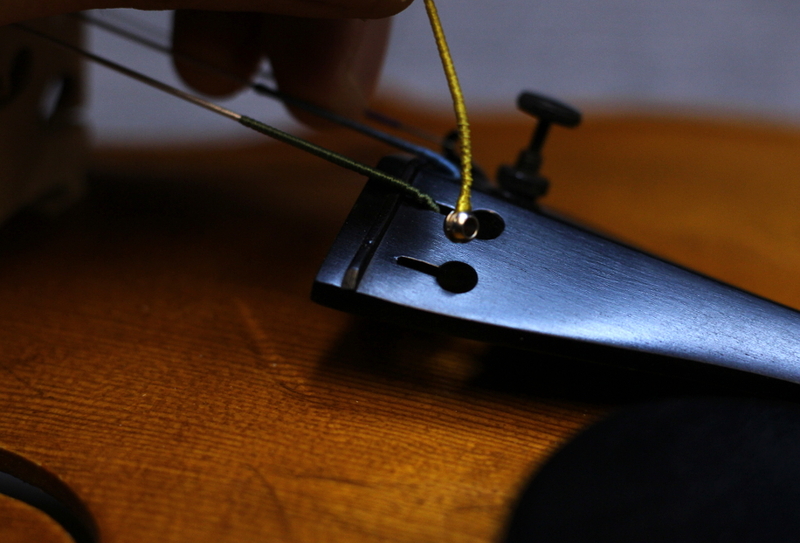 The most common thing is for the bridge to tip forward when the strings are loosened or backward when they're tightened. You don't want it to fall over so keep a close eye on it! 6. 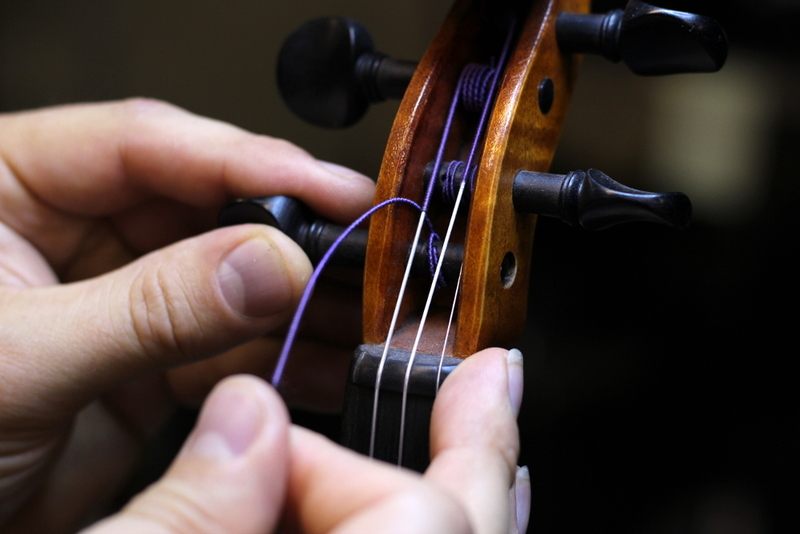 Here's the string already passed through the hole with the peg back in the peg box. 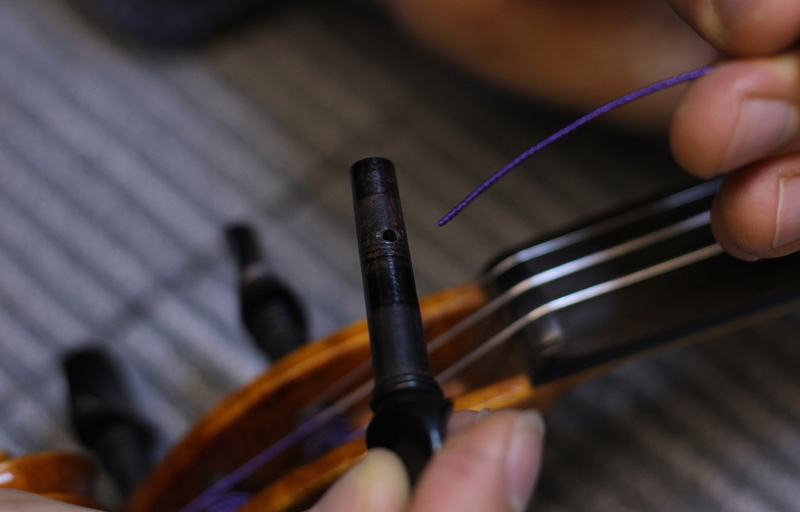 Remember a violin peg works by friction in the taper, so if you pull it away from the peg box it will get looser and if you push it inwards it will get tighter. 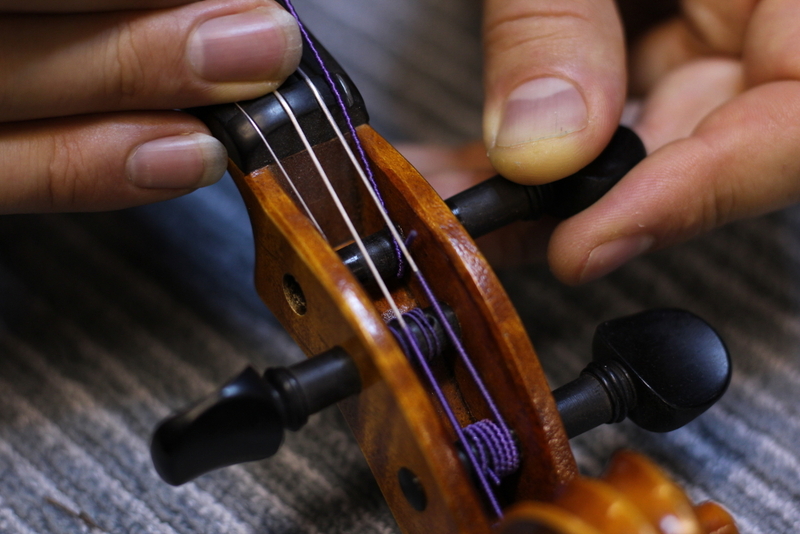 You want a nice smooth turn so you don't need to push it hard, just a little gentle pressure as you start to turn will help you find the sweet spot. Hope that makes things a bit less frightening! 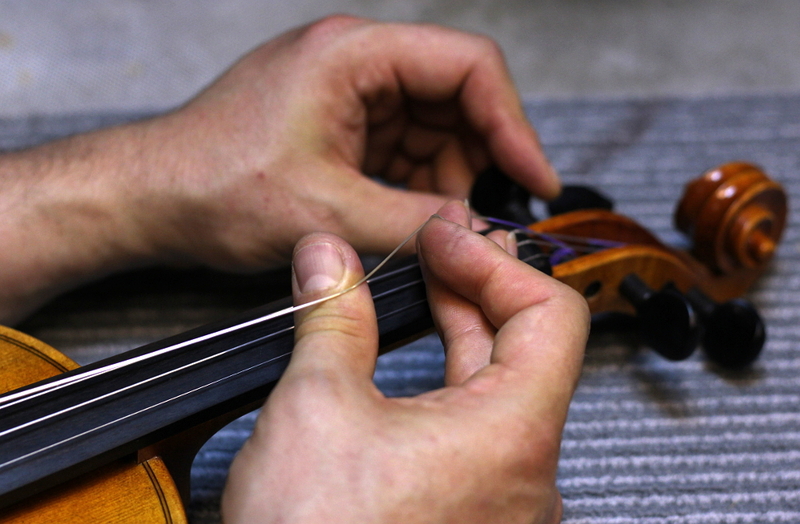 If you're struggling with it or if your violin maintenance needs are more than just changing strings give us a call or email and we'll be more than happy to help!